Book a RENFE train to Ronda and just print off your eticket. Simple for getting to and from Ronda from all Spanish cities plus return train daytrips from Ronda to the Alhambra in Granada, Mezquita in Córdoba, or the Picaso Museum in Malaga. REMEMBER! You can sometimes only book trains up to 60 days in advance with some 30 days in advance so you can’t book a train for next year! Trains to Ronda often change at another station, only a few of our services are direct. This means you need to pay particular attention to the type of train used. Ronda sits on the Algeciras-Granada line, but services to Madrid and Malaga are provided. All trains departing either Algeciras, Granada, or Malaga are the regional trains (media distancia). The service to Madrid runs between Algeciras-Madrid, and is a type of train known as Altaria. This is not a high speed service. All AVE services will require changing trains at Bobadilla. The AVE high speed train does not currently service Ronda, although there are plans to upgrade the track at sometime in the future. The railway station in Ronda is open from 06.45 till 22.00, although the ticket office is only open from 06.50 till 21.30 and outside these times the only person in attendance will be the station controller. Within the building there is a bar that serves coffee, drinks and light tapas. They also have a set menu for travelers with time to spare. If you decide to travel to Ronda by train you can also take advantage of the very good Hotel Andalucia across the street from the station It has very good reviews over at booking.com, is well priced and perfectly located in a quiet part of town just 5 minutes from the main shopping area and just 10 minutes walk from the main monuments and cultural attractions. Parking at the station is charged for but not expensive, and the gates open between 07.00 and 22.00, if cost of parking is an issue, we’d recommend parking in the street outside the station which is free. Be warned that parking on yellow lines or in a way that obstructs traffic will likely see your vehicle towed to the impound yard. Getting from the train station in Ronda to the Tourist Information Office, the Plaza del Toros, and Puente Nuevo is a short 10 minute walk and you certainly don’t need to get a taxi, simply follow my walking directions from the Ronda railway station. We have received many emails from people asking for a printed version of Ronda Today so we have created a 21 page A4 essential guide to Ronda and the Sierras from some of the articles on this website. At just 5 Euros (Paypal) It is well worth the investment if you are planning to visit the “City of Dreams” for a week, a couple of days or just a day. The guide contains Ronda Todays’ most important tourist information articles and includes a map of Ronda, the most popular monuments and nearby places to visit including information on the Sierra de Grazalema and the white villages (Pueblos Blancos). Just click the link below, pay via Paypal and you will receive an email with a link to download the guide to your computer. It’s a PDF document so you can store it on your machine and print it straight away. Thank you for supporting Ronda Todays continued growth by purchasing this essential tourist guide to Ronda! I paid the fee for the Ronda guide. I don’t know how to download it. I paid using paypal. How to reach Grazalema from Ronda by bus? Buses leave Ronda to Grazalema every day. Just go to the bus station and get a ticket. Bought train tickets via phone while traveling. Can I get printed ticket at Ronda station? Instructions say bring printed ticket which I can’t do. Who did you buy the tickets from? 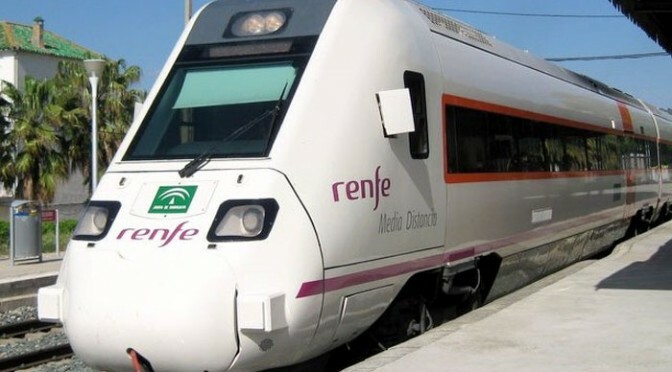 we would like to come to ronda for the day from san roque but have no printer – it looks on renfe’s website that we need to pre book as some of the tickets no longer seem to be available, but we wouldn’t be able to print any if we do this. Can we use an app or eticket? Or will there definitely be tickets available at the time we would like to get on the train? Would be very sad to get to the station and discover we couldn’t get the train. Try the GoEuro link on the right of all pages here… E tickets should be available. Is there still a bus from Benaojan to Ronda in the morning? hi, would you happen to know when the Ronda to San Roque/Algericas trainline will be back in service? :). Or where is best to get updates on it’s return :) thank you! It should be open very soon. I believe that finishing touches are being done this month….